Great discussion, thanks for opening that up! Prisma (>7k stars) turns your database into a GraphQL API and we are looking for first time contributors and experienced contributors alike. We have many other open source projects beyond Prisma that are widely used in the GraphQL space - check them out on our open source page. 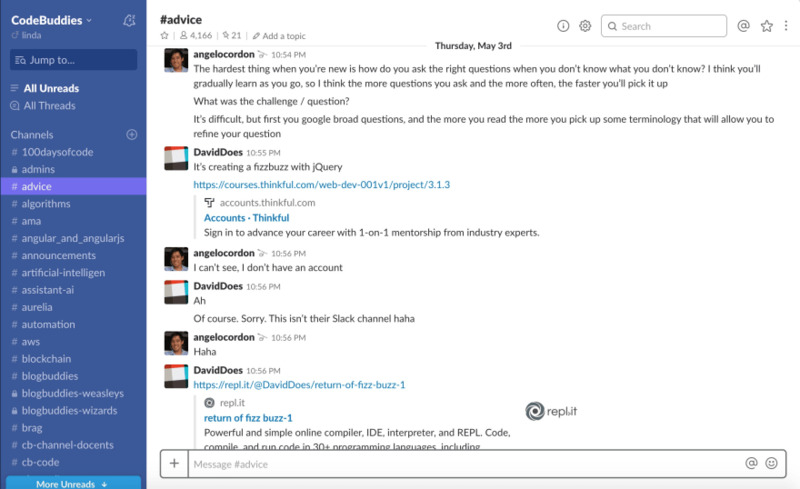 You can engage with us on Github or in Slack so we can help you getting started! I guess I'll shamelessly post again this week because this was pretty successful last week. I'm growing a collection of sample programs in as many programming languages as possible. If that sounds interesting, give the repo a star to help it grow. When I shared this last week, I got my first two contributors, so thanks! I really have to thank everyone who has already started helping out. Last week, I was the only one working on the project. Now, I have 12 stars and 8 forks--incredible. Thanks, Ben! This is really an awesome resource. I agree! 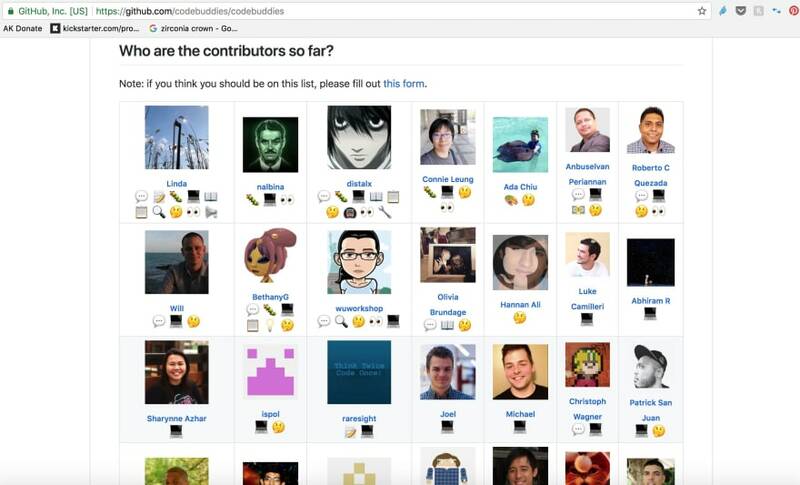 This is a great repo for people looking to get involved in open source. Let me know what you have in mind. Our learning hangouts are community-organized and fully remote because we believe that getting coding help and finding peer study partners shouldn't be limited by where one lives or by one's ability to commute to a local tech meetup after work. The community is super friendly on Slack (we have a pay-it-forward mentality) and we come from all around the world, spanning different ages and different professions. CodeBuddies lives thanks to the generosity of its members, Slack admin moderators, GitHub code contributors, website community mentors, & 501c3 monetary donations on our Open Collective. 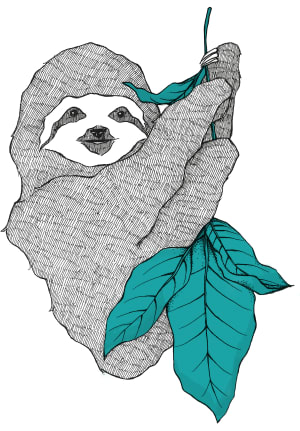 I am currently working on a programming language project : Kafe created in C++17, using ANTLR4 to create the parser. This language runs on a virtual machine, as Java does, and aims the field of scripting in video games, so I am giving a lot of importance to optimizations. What I am basically trying to do is to create a language which can be read by anyone (simplicity is the keyword regarding the grammar), and can be used easily as a scripting language in video games, something easier than embedding Python without an external library for example. I have lots of tasks! I know it can be hard. But you can try analyzing the code, looking for something you can improve. Be it a small refactor, improving its documentation, etc. It's a Docker tool that helps to initialise and run project of any complexity with a simple command line interface. it will clone your project, pull all required images and run you project. You can create multiple environments/plans for development, production, demo etc. You can also create your own catalog/registry or use GitHub or Gitlab integration. Orchid is a tool I recently released after working on it for over a year, and I'm just looking to get some traction on it, to get people using it in real-world situations. I'm currently using it for several sites of my own and at my work, but would love to get feedback from a larger community. It's a static site generator for Java and Kotlin, and is especially great at generating documentation for all kinds of projects. It already documents Java and Swift code, and has plugins that bring the best features of other tools together in one place, like blogs, wikis, custom taxonomies, and presentations, and is designed to be really easy to extend. Please check it out and let me know your thoughts and how I can make it better/easier to use. It's my first "major" open-source project but is doing very well at 56 stars right now, and I'm really excited about its future! I have three current projects I am working on polishing off. I could use help from everything from documentation, to adding features, to help closing issues. Status Board is a fork and replacement of Atlasboard. It allows you to make dashboards easily. React Pure Loader are loaders built as React pure components using JS to CSS to handle styles. Jest Express is a testing / mocking framework for testing Express apps with Jest. warhol is a better way to write CanCanCan ability classes for Ruby apps, I would love to see it get some more exposure! cadius is a cross-platform Apple II disk imaging utility that can make ProDOS images. We want to write block device support next and am looking for some retro computing enthusiasts to join the effort! Go right ahead! It probably already works with lsp-mode, but hell why not. No need, it work's fine with lsp-mode. Great stuff!! Thank you for the discussion, Ben! A bunch of folks and I are building a curated list of articles, websites, and resources about diversity in technology, and I would like to share with you all to see if you would like to contribute or just share it. Here you have the awesome-diversity list! Any contribution will be highly appreciated. Currently, there is no good looking epub reader for linux. Most of reader/viewer just render text like html page. So I took initiative to make epub reader for Linux. The project is Electron based so it can be run on any OS though. It is in early stage of development and has some basic features for reading. Projects needs work on ui/ux and I am finding someone who would like to work on ui/ux. It will be great experience. I'm joining in a bit late this time, but as you my have seen from older posts, AlloyCI is always looking for contributors. Want to learn Elixir, but don't feel comfortable yet with tackling an issue by yourself? Don't worry! Just try to install and run AlloyCI, and if you find something in the documentation unclear, or missing, these are great first contributions as well. Even if it's just to fix a typo. It gets your feet wet! Rockburg is a music industry simulation game! My main (open source) project where I need collaboration/contribution is doesangue.me (doesangue means "donate blood"). An open source and free API/platform for blood donors, blood banks, hospitals. You can read a little more in this medium post. The Core API was created with Laravel. So Artisans are welcome here. But more than Laravel, we need people to help us with frontend (SPA, Vue) and sure, with design. I would like to share this one ocr-electron-vue, was initially an example project for an article that i wrote few months ago, but i see a lot of potential for that OCR tool, it haven't an open issues or roadmap yet but of course all the suggestions and contributions are welcome! Nextron aims to make an Electron app with Next.js more easily. This is a highly WIP Project, so PRs and contributers are welcome! Techtonica (a nonprofit I started that provides free tech training with stipends and job placement to women and non-binary adults with low incomes) discovered that our participants need an app similar to typing practice websites out there, but for Mac OS X keyboard shortcuts and we haven't found it anywhere! A volunteer started on the keyboard shortcuts project but went back to school and has been unable to continue on it. It's a pull request dependency checker! By referencing other issues/pull requests using keywords ("depends on #123" or "depends on some-user/some-repo#123") your pull request's check session will display the dependencies status (open or closed), that way you can merge it with more confidence. operationcode.org/ is always looking for open source contributors, as well as mentors. Operation Code is a nonprofit devoted to helping our military veterans learn software development, enter the tech industry, and code the future! Our site is comprised of a Rails API backend and a React frontend. You can find out more by joining our Slack community, or pinging us in GitHub! What do you think? What did you improve? Many thanks cheers!